The beginning of a new year is the prefect time to renegotiate your brand, and by utilising social media as part of your business, this process can be cheap and effective. 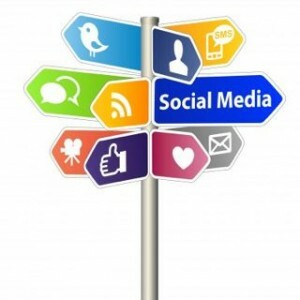 These are a few basic ideas to establish yourself through social media. Own your domain name. Try Australian-based hosting company crazydomains.com.au; for as little as $12 you can own www.joeblow.com. If your name is taken, try a variant such as mrjoeblow.com or joeblowauthor.com or even the very confident thejoeblow.com. In my experience a .com is more valuable than another other option they’ll try and saddle you with, including .com.au, .net and the just plain confusing .asianet. Put your sign up. Once you’ve linked your domain name to web hosting (for the technically challenged, this is a 10 minute task for a geeky friend) put up a temporary sign. ’Coming in November’ is better than ‘Coming Soon’, and whatever you do, don’t leave it blank – visitors will think the arse has fallen out of the business before it begins! Don’t forget to add your FB/Twitter links and your email address. Get an adult email address. Not the mrjoeblows2564910_@hotmail.com. For an additional $10 you can buy an email to match your site e.g. info@mrjoeblow.com. Make sure your Facebook and Twitter handles are all aligned. Set up your social media accounts. Approach the the Big Three: Twitter, Facebook and LinkedIn with being clear and consistent in mind. Start posting straight away before you add – would you invite people over for dinner and offer an empty table? Your first post can be – Welcome! We are launching mrjoeblow.com in November and we will keep you updated here! Establish your social media pages as a channel for business in the interim and make sure you publish as many contact details as possible. Fill up your buisness card. include your web address and Twitter/FB handles. Don’t put a postal address unless it’s purely for business use and add your mobile number – you’re not famous enough to keep that hidden, yet! When you give them out, state your preferred method of contact ‘Post on my wall’, ‘Flick me an email’ or ‘Tweet me’. you may feel odd saying this, but there was a time when ‘Call me’ was foreign. Get your Sole Trader ABN. Imagine being offered some work and saying ‘No dramas, just have to get ABN’ they’ll think you’ve never been paid for work in your life! It takes 28 days maximum to receive your ABN in the mail, get it over the phone earlier. Buy a book of stamps. Post a stack of your cards to well connected friends and businesses and include a note to the effect of ‘I’m in business! Dont hesitate to contact me.’ Something tangible really makes an impact in such a digital world.